When applying for a small business loan, you will inevitably come in contact with numerous jumbled and confusing loan acronyms that require you to do some solid research in order to understand them. Fortunately, we have compiled the most common loan acronyms in a handy list to help make deciphering lending language that much easier. An electronic network that processes financial transactions by transferring funds from one account to another through public and private sectors. You can set up your loan payments to be made by ACH transactions to make sure that you don’t miss a payment. APR compiles your loan’s yearly interest rate with any fees or additional charges that you have to pay for that cash. In short, it’s the true cost of a loan. An ABL is secured by business assets, most often by inventory or receivables. Lenders make these loans based on a formula that calculates a percentage of those assets’ value. The percentage can vary depending on the type of collateral. Your BVI is similar to a credit score, but takes into account a broader range of factors that tell a lender more accurately if you are qualified for a business loan. The BVI considers your credit score, but puts more weight on factors like track record, profit-and-loss metrics, and intent. 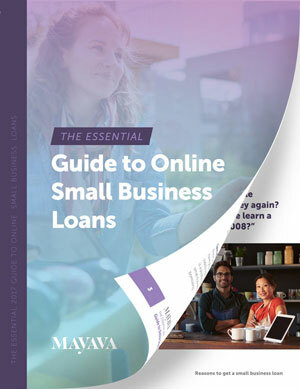 The Small Business Administration certifies and regulates these nonprofit organizations, which work with participating lenders nationwide to lend to small businesses under the SBA’s 504 Loan Program. SBA 504 loans provide financing for the purchase of major fixed assets such as real estate or equipment. These financial institutions—generally banks, credit unions, or loan funds—are government-certified organizations that offer financial services to underserved markets and individuals. CDFIs might offer business loans to entrepreneurs who can’t get traditional financing as well. This figure represents the amount of long-term debt that you need to repay within one year. This ratio tells lenders how much cash you have available to service the debt you’re considering taking on. Lenders arrive at this figure by dividing your company’s net operating income by the amount you’ll need for debt service. This number is important, because if you don’t have adequate cash to service your debt, lenders won’t front you the money you want. Lenders use this measurement to assess your company’s creditworthiness and your ability to pay back your debt. FICO is the largest and most well-known company that provides software for calculating a person’s credit score. Standards set by the Financial Accounting Standards Board of accounting principles, standards and procedures that companies use to compile their financial statements for potential lenders. ISO is an individual or an organization that is not an association member (i.e., not a Visa or a MasterCard member bank), but still has a bank card relationship with an association member bank. ISO’s provide payment-related services to members of an association, either directly or indirectly, including customer service, sales, merchant solicitation and training activities. The person at the lending organization who handles your loan. A type of financing in which a lender extends you credit for a certain amount that you can draw on whenever you need. You don’t have to start repaying the credit line until you actually draw from it, and once you repay all the money, you’ll again have access to the full amount of the credit line. Long-term debt is any loan that has a future maturity date of more than one year. The ratio of outstanding debt to the value of the collateral for the loan. Lenders have a maximum LTV that they’re willing to accept, depending on the type of collateral you’re putting up for the loan. Figures combined by your loan officer to calculate your scheduled loan payment amounts. This term describes business assets or property that is not liquid—in other words, it can’t be quickly turned into cash. PP&E is also sometimes known as fixed assets or tangible assets, in contrast to liquid or current assets such as cash or money in the bank. The SBA provides a wide variety of resources and services to small business owners. Most importantly for borrowers, this federal agency guarantees small business loans—known as SBA loans. But the SBA doesn’t actually make loans. Instead, it works with approved lenders and guarantees a certain percentage of the money they lend to small businesses via SBA loans, typically 80-90 percent. The SBA’s main guaranteed loan program is the 7(a) loan. SBSS - Small Business Scoring Service. The SBA’s loan guaranty processing center uses SBSS scores when screening small businesses’ loan applications. The SBSS score, generated by FICO, is based on factors like the business’s credit history and the business owner’s individual FICO score. The SBSS score can range from 0 to 300. In 2014, the SBA set a minimum score of 140 to be considered for its 7(a) loan program. USDA Loan or B&I Loan - U.S. Department of Agriculture Loans or Rural Department of Business and Industry Loans. Can I Get a Loan if I Have Outstanding Liens?